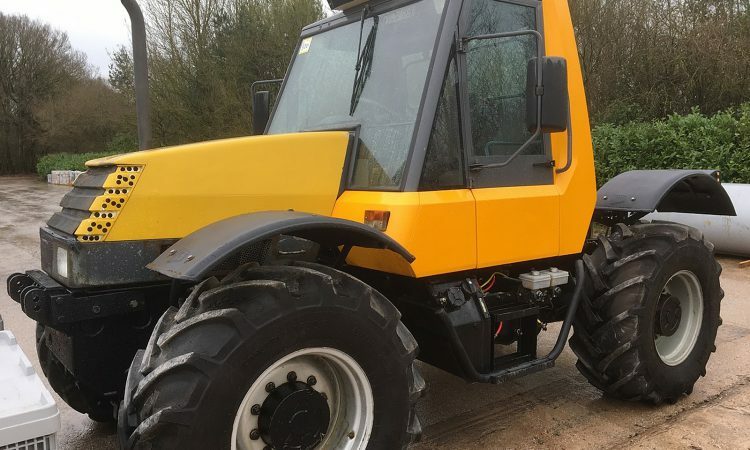 Yesterday, we brought you news that a historic ‘prototype’ JCB Fastrac (pictured above) will go under the hammer today (Tuesday, March 26) at a special auction. In the meanwhile, JCB has been in contact with AgriLand to reveal further fascinating details of this machine. 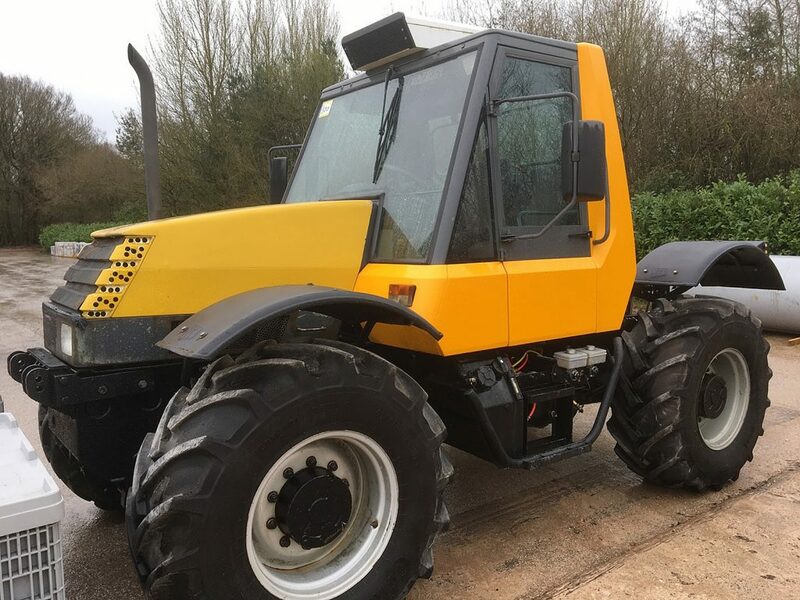 The company’s PR manager – Nigel Chell – explained: “This tractor – known as ‘P5’ – was the fifth of 13 prototypes built during the [Fastrac] development programme. “These prototypes were numbered 1 through 12, along with another numbered as 14. P5 was predominantly used as an engineering endurance machine – accumulating ploughing and other hours on JCB’s own farms. 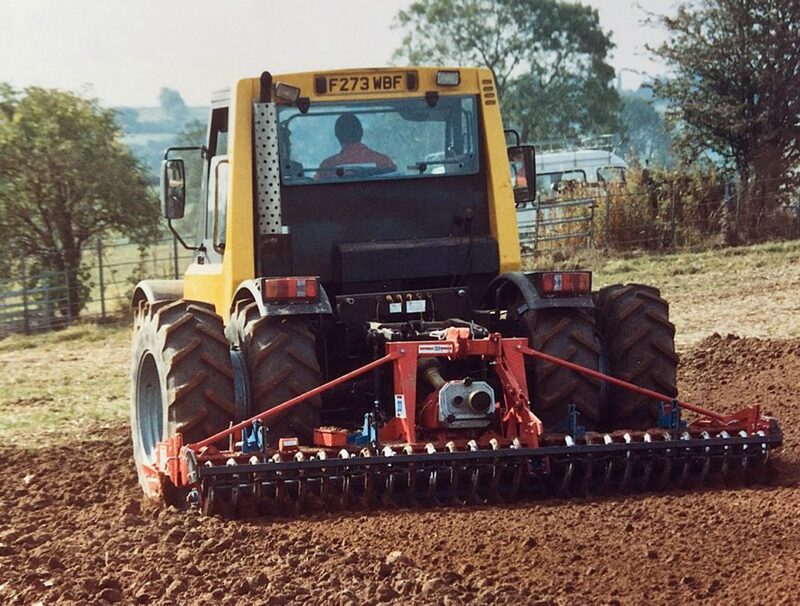 This picture (below) shows P5 in action with a power harrow – many years ago. Nigel added: “It was also used for one or two early dealer feedback sessions. “The machine was completed around July 1989. It was actually built by JCB Developments at Wrexham; it was later re-plated with a JCB Developments Cecilly Mills [Cheadle] plate. It was the first turbocharged prototype built; it was fitted with a Perkins 1006-6T engine. He added: “While the plate indicates that it’s a ‘135’ it has almost certainly had an engine change during its life. It’s likely to now have an engine similar to that fitted to the 145 production model. 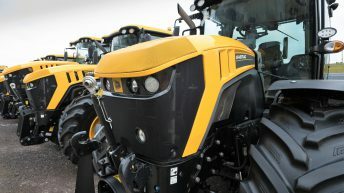 He said: “The cab has a flat windscreen – unlike ‘production’ machines. In fact, all the prototypes except P14 had flat screens. P14, with its curved windscreen, was shown at the Royal Smithfield Show [in December, 1990] as the High Mobility Vehicle or HMV prototype. “P5’s cab has been restored externally, although the interior is still very ‘prototypish’. P5 is just one of many lots due to go under the hammer today. 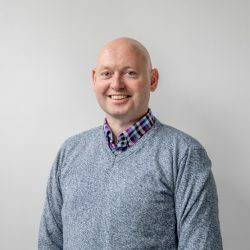 The venue for this special auction is JC Bamford Excavators Ltd, Lakeside Works, Rocester, Staffordshire (England). The sale is being conducted by AMS (Asset Management Services) Auctions – on behalf of JCB.